Devastating news from our neighbourhood. On Wednesday the Syrian family who have recently settled here in Blueridge (and were just finding their way in Canada) were robbed. Please consider making a donation to help them recover from this terrible loss, and show them that the world is (mostly) made up of decent people. 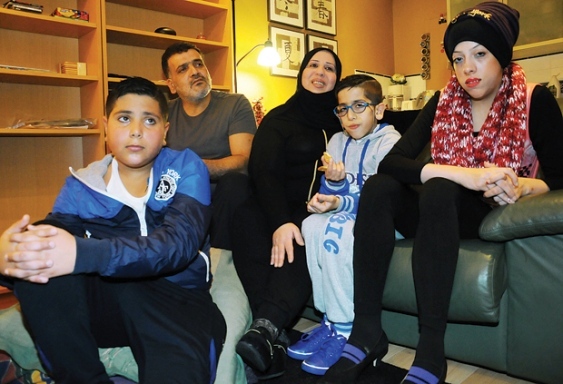 I cannot believe that this family who have suffered so much and arrived in Canada with nothing were targeted by thieves. The Blueridge Community Association has set up a gofundme page to raise money for the family so that they can replace what was stolen. Here is a link to the gofundme page. If you would like to send a message of condolence and support to the family, please email it to info@blueridgeca.org and we will put your message on a card to give to the family. If you would like to send a donation without using the online donation page, please send an email to info@blueridgeca.org and we will get back to you straight away.